The idea of the #KolaBadmus #CelebrateAfrica campaign is to generate interest among OAU students about African achievements in terms of fashion, sports, entertainment et cetera. It is also aimed at publicising the brand among the students. 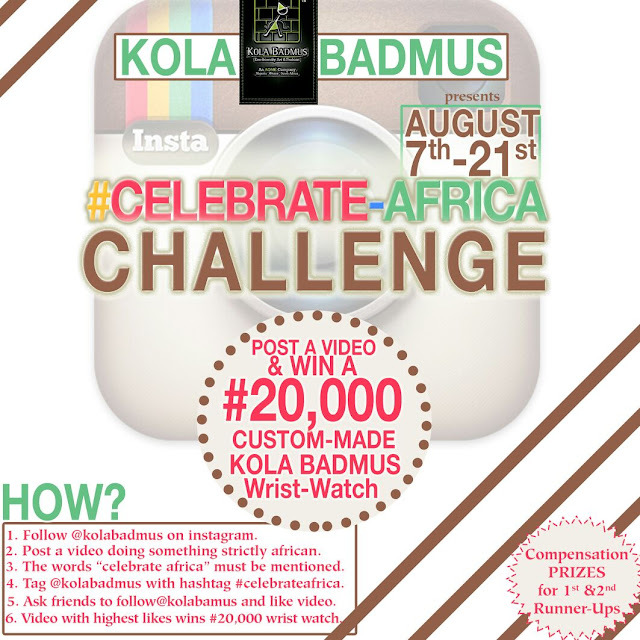 The #CelebrateAfrica Video Challenge is a short video competition via the Kola BADMUS Instagram handle. The idea is to get people to send in videos of themselves in which they could be doing something funny, witty, smart, creative, and musical or anything they like. All they have to say at the beginning of the video is “I Celebrate Africa with Kola Badmus”. These videos on Instagram and have to be tagged with #celebrateafrica and posted at the kola badmus instagram handle:@kolabadmus. 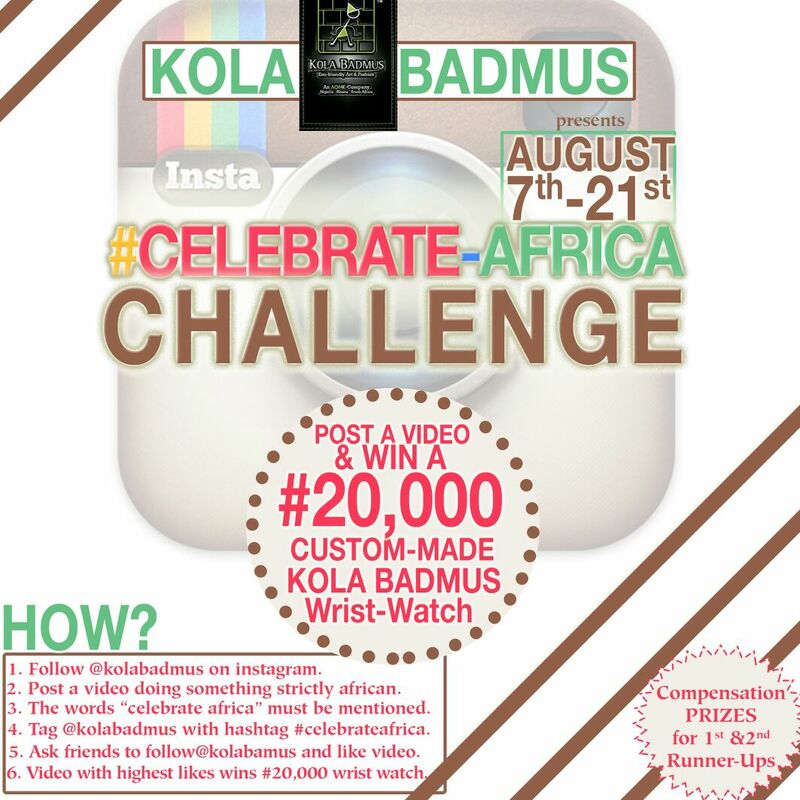 The video is then reposted by the kola badmus handle, the video that garners the highest likes wins the competition. The Competition is scheduled to run from 7th - 21st August, 2015. *The Winner would receive a Kola Badmus Custom-Made Limited Edition Wristwatch worth #20,000. *The 1st and 2nd runner-up would receive signature band and an autograph band respectively.